April Kennedy...My Life + My Style: CHOCOLATE LOVE. 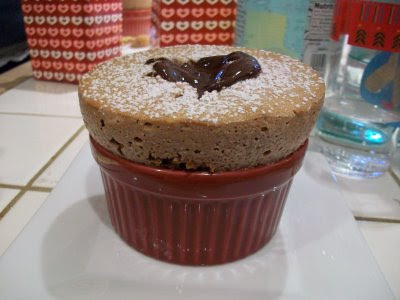 We made chocolate souffles and truffles yesterday at Chicks in Aprons! Recipes to follow soon here. I confess I've eaten most of the truffles myself! This morning I looked at the plate and thought, there's no way I started with 16!!!! !